There are lots of articles and theories about what stages relationships go through. You find some that purport to have 4 stages and some that go all the way up to 10. 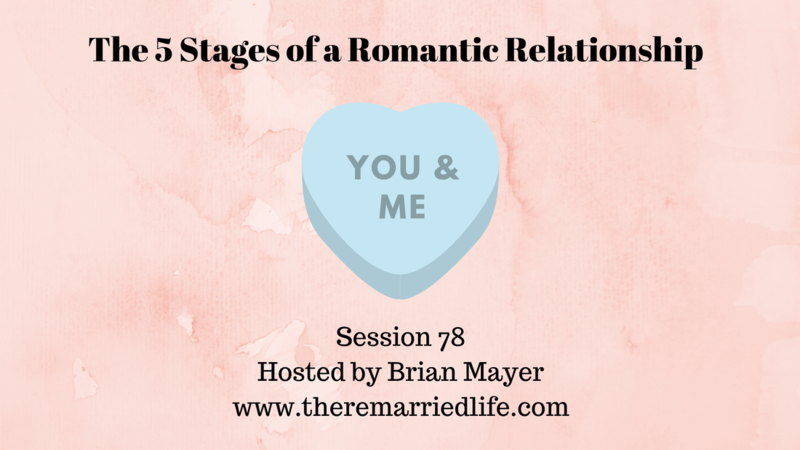 No matter what the number we can all agree that our romantic relationship certainly do have stages. Of course it may not be clear that you have broken through from one to another because of a specific event although that can certainly happen. It usually is a slow shift over time. Understanding these phases for those that have been divorced and remarried and so much more crucial to getting it right that we often think about. Think about these stages as a roadmap and without knowing where we are going or where we need to go we can often get lost. Also there are things about each stage that are important to understand that might be transient meaning they will fade over time. Knowing this can help to not get upset as we transition to the next phase which should hopefully be deeper and more meaningful. The Infatuation Phase – Emotions, Passion, Intensity, Differences Don’t Really Matter and in fact they seem kind of cute. The focus is on things you have in common. The Knowledge Phase – Discovery of Differences, The Differences are met with More Realism. So while the differences are negative so much yet, they are not looked at through rose colored glasses as much. The Coexistence Phase – Start thinking about the future and do things get married, move in together, buy a home. This phase can occur rapidly in a remarriage because we think we know what we want and often maybe this is true. There are lots of reasons though we can sometimes get to this phase quicker than when we were in that first marriage. Age definitely matures us. Having already been through a cycle of a relationship can also move us more rapidly through the stages. The Assertiveness Phase – This can be a period of beginning to think more about the self. Individual needs can sometimes start to appear more in earnest. This can be a positive or negative depending. The Growth Phase – Carrying out joint ventures like having a family. This stage is hopefully where you feel the deepest connection to something that will be long lasting and not end until death rather than a previous marriage or relationship that obviously ended before that. Of course the issue with remarrieds is that the phases can last different amounts of time that they would in a first marriage. Additionally the Assertiveness Phase and the Growth Phase can actually happen at the same time for a remarried thus blurring the line between these and maybe causing our brain to lack the ability to feel good in each of these stages since they are blurred. It is certainly important to understand these phases because it will help you understand what to expect as you hopefully continue to move forward.